Kayla has been so busy hopping from one project to another plus moving and getting ready for the school year to come to a close. She asked if I would stop by and share a pressure cooker recipe with you. These are my Spicy Black Beans. I’ve been making them for over two years now and the family still really likes them. 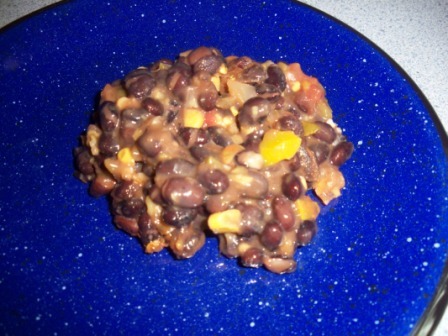 My favorite thing to make in the pressure cooker is and always will be beans. My husband farms and eats lots of leftovers. Having a batch of beans made up and in the refrigerator helps me stretch meals to make the leftovers plus the beans enough to make a meal. If you are looking for the recipe, hop over to my blog, Jo’s Country Junction. I love that Kayla has been working on these pressure cooker recipes. It has really given me many more ways to use my pressure cooker and make meals in a hurry.